One first encounters the combined aromas of dried spring flowers, caramelized apples, and macerated cherries opening up into a structured yet delicate palate, resulting in a perfectly robust and subtly peered aftertaste. 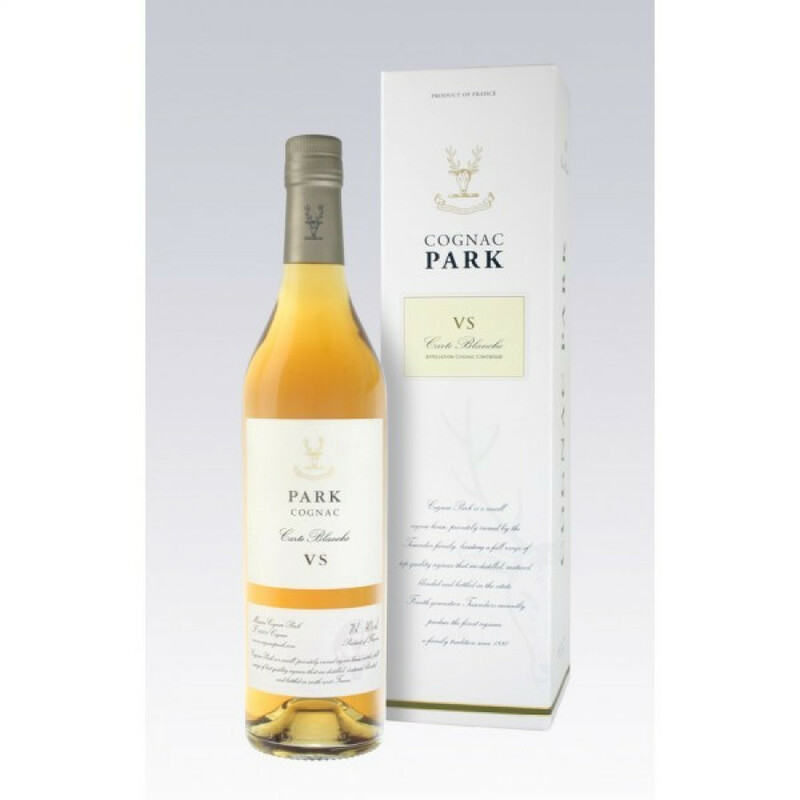 The Park VS Carte Blanche Cognac is a wonderful example of how a young, vibrant cognac should be. Specialising in providing cognacs with a pure and unadulterated take, this blend is typical of the houses signature style. Park Cognac are committed to producing artisan cognacs - each being hand crafted in truly limited small batches. And this VS is no exception, providing the taster with a top quality experience - and ultimately satisfying. A great staple VS quality cognac to own - versatile enough to be enjoyed in many ways. Neat as an aperitif, with a mixer to create a long drink, over ice for a different taste experience, or as a super-special ingredient in your favorite cocktail.